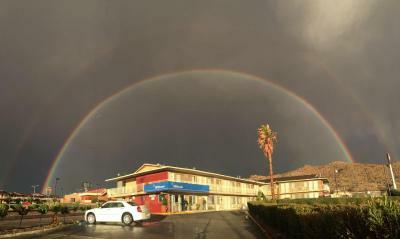 The price for the hotel was right, it was within 15 mins of the event I attended, but despite the closeness if the hotel it was located on the outskirts of town and rundown. 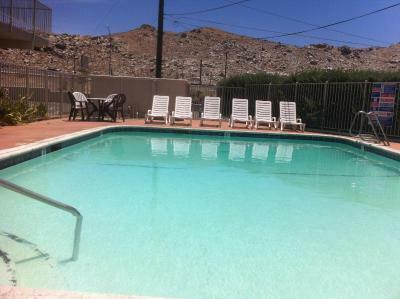 Pool was meager (no Jacuzzi). Staff is minimum and fair but don't expect much in the way of service or amenities. Despite these factors, I received what I paid for and it was fair. nice location,breakfast i dint know they had it.they dint say nothing about it. I liked that the rooms were very clean. The staff was very polite. Super easy to get to from the highway. 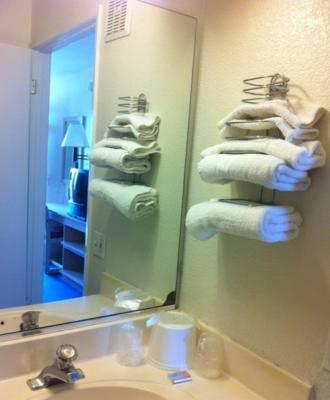 The room was really clean, and as an added bonus, the bathroom was clean. It’s fairly quiet here as well. I don’t like anything they were very rude and disrespectful I will never be back!! Perfect parking, really perfect. 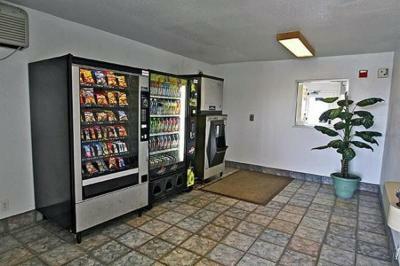 Right in front of room, easy access. Very nice guy at the reception desk & helpful too. 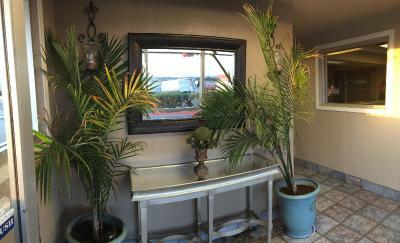 Bed was comfy, room & bathroom clean & even though near the fwy, it was quiet. We slept so well. It was nice. I could have stayed another day, relaxed or explored the area. All in all it was very pleasant. Was given a stinky smoky room for a non smoking room booked. After a bif argument in the mid of the night owner agreed to give other room. The way the persons approach is aucks. Would never recommend anyone to use this facility. Unique experience. My wife is pissed off with the congested room with not even a microwave. Detailing in priceline foes not map to the actual facility. Do not suffer. Audit needed on this facility. Very courteous staff and helpful with directions so that I would not have to worry about getting lost. Housekeeping staff made sure that my room was clean & that I had plenty towels so I didn't have to ask for anything. I appreciate that. 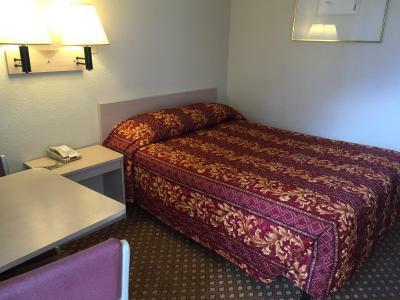 The hotel has nice and ample rooms. The room was pretty clean and smelling good. More than enough parking spots available in the parking lot, so you can park your car close by the room. 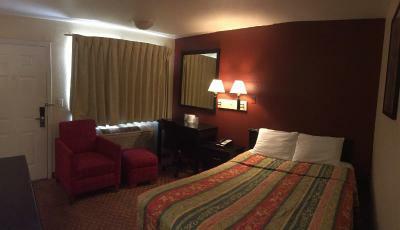 The room was clean and price decent. The staff was very friendly. 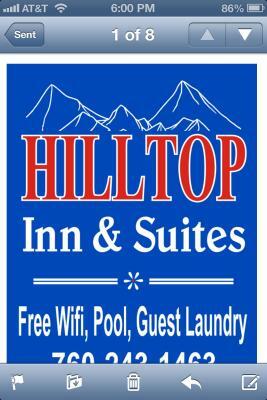 Hilltop Inn & Suites This rating is a reflection of how the property compares to the industry standard when it comes to price, facilities and services available. It's based on a self-evaluation by the property. Use this rating to help choose your stay! 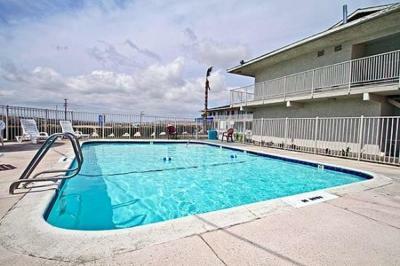 Featuring a seasonal outdoor pool, this Victorville, California hotel is 20 miles away from Big Bear Mountain. 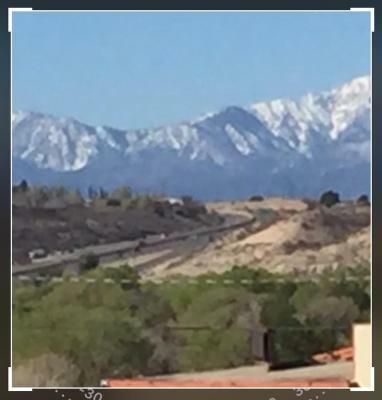 San Bernardino County Fairgrounds is 10 miles away. 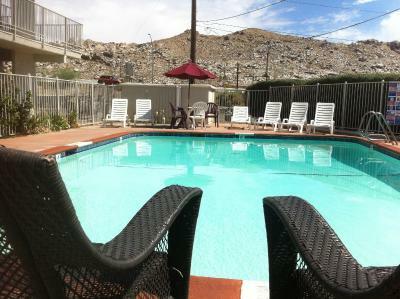 Offering free Wi-Fi, each air-conditioned room provides cable TV and an private bathroom at Hilltop Inn & Suites. Free coffee is offered at reception. 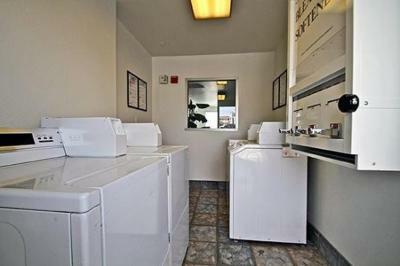 Laundry facilities is offered at Hilltop Inn & Suites. 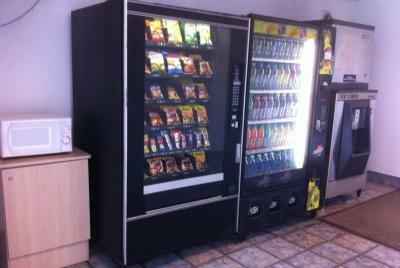 Vending machines are offered onsite. LA/Ontario International Airport is 45 minutes’ drive away. Big Bear Lake is 1 hours’ drive away. 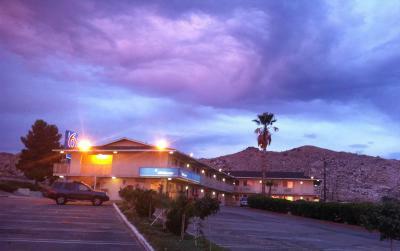 When would you like to stay at Hilltop Inn & Suites? 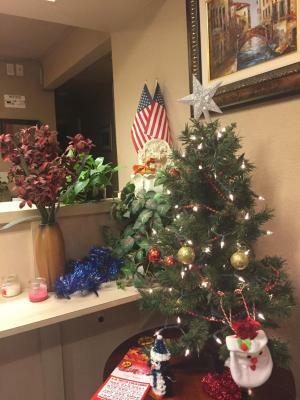 House Rules Hilltop Inn & Suites takes special requests – add in the next step! 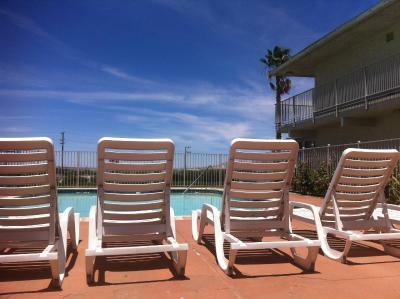 Hilltop Inn &amp; Suites accepts these cards and reserves the right to temporarily hold an amount prior to arrival. 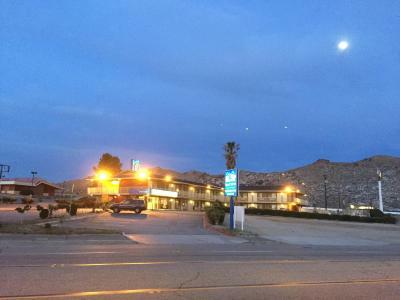 Hilltop Inn & Suites accepts these cards and reserves the right to temporarily hold an amount prior to arrival. Run down and very generic or average but it is fair priced. 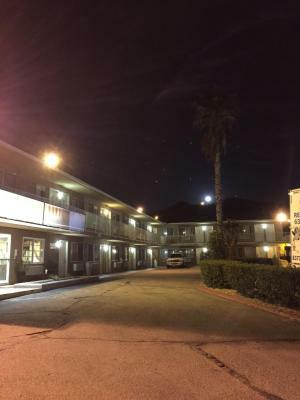 The “non-smoking” room had a terrible smell of cigarette smoke still lingering in the air. The bathroom was filthy and the air vent was missing. 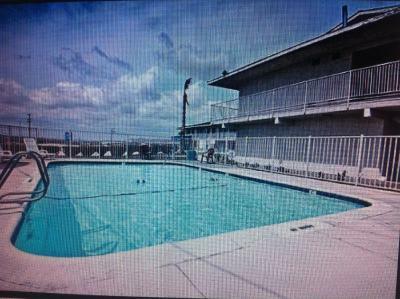 Needless to say this place needs a remodel and updated pictures. The pictures shown are completely false compared to what you actually receive. The ac unit is really close to the bed. It smells like weed in sections of the property. The entire experience. A waste of money! No microwave ... Not that we needed one, we used door dash, on the recommendation of the clerk at check in. But sometime we may stay there again for more than a night or 2. We travel a lot. 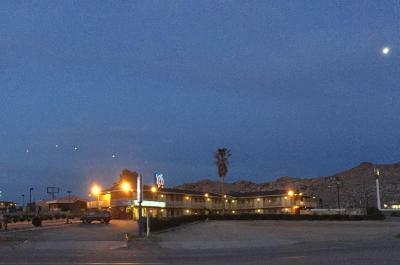 We stayed at an awful Rodeway Inn just a few miles from this place off the 15. So I was Leary. Oh, so nasty, so bad. But anyway, microwave was the only thing.